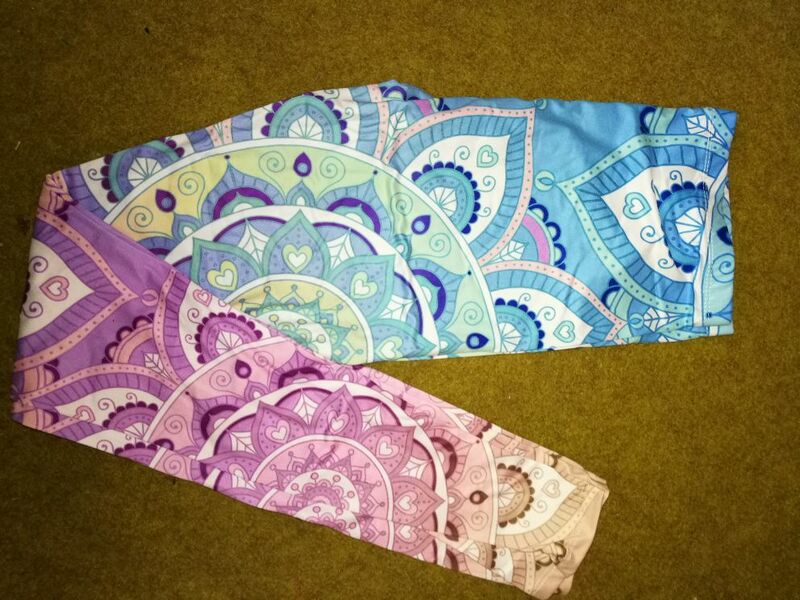 Our Mandala Gradient Light High Waist Leggings will make you look glamorous and attractive. Very delicate, light, and comfortable leggings. Effortless to wear up or down! Leggings have one size but they are very stretchy and will fit XS to L. For anyone smaller or shorter, or with thinner legs, there will be extra ruching around the ankle, that makes it look even prettier. Great for Yoga, Fitness, Running, Walkout, Gym etc. very helpful supplier, great quality ! Great material, non slip and super comfy! Design is beautiful with no fault. Great service! Just as described and fast shipping, thanks. lovely design , great quality ! alta qualidade,bem macio,recebi bem rápido.